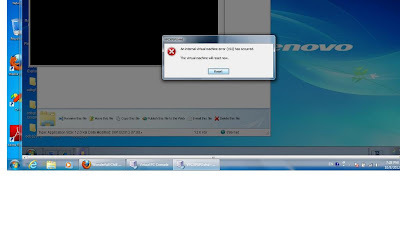 In this post i will show you another weird behavior of Virtual PC 2007. 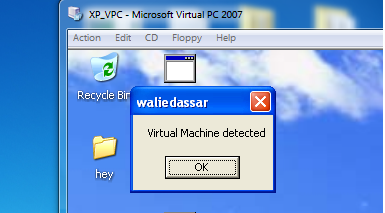 I encountered this weird behavior while playing with Virtual PC 2007 with Windows XP SP3 installed inside. 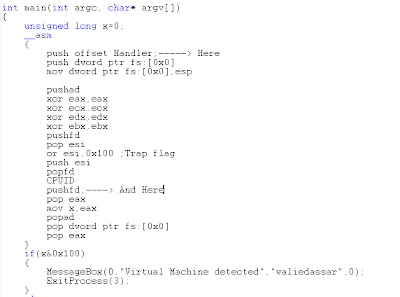 The behavior is all about how a Windows XP Virtual PC virtual machine handles the Resume Flag. For those who don't know, the Resume Flag (Flag no. 16 in the EFLAGS register) is used to temporarily disable Hardware Breakpoints exceptions for one instruction. 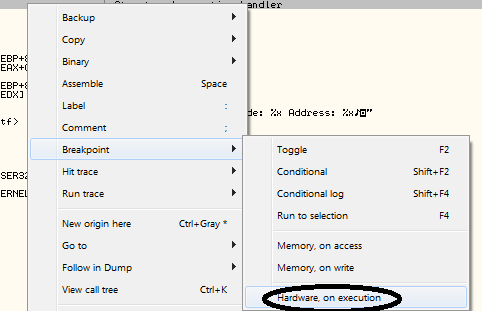 Without it, a Hardware-Breakpoint-On-Execution would infinitely trigger an EXCEPTION_SINGLE_STEP exception. 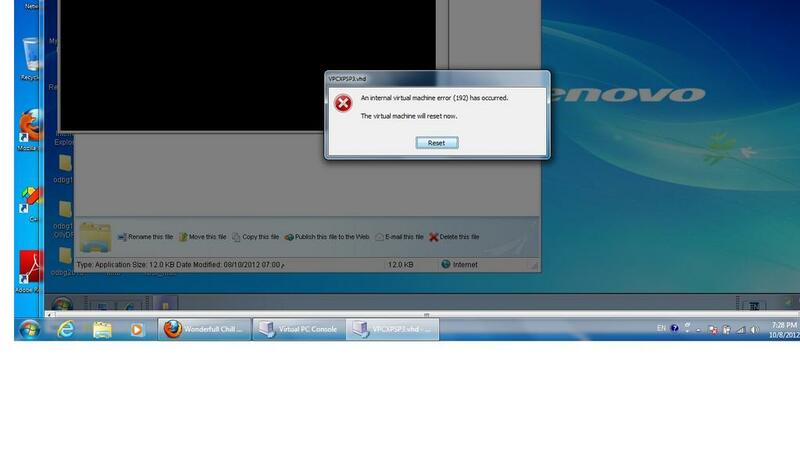 According to @osxreverser, Windows XP does not support the Resume Flag (RF). I was also amazed to see that also WinDbg and OllyDbg v1.10 don't use the resume flag. They use the Trap Flag (TF) instead. 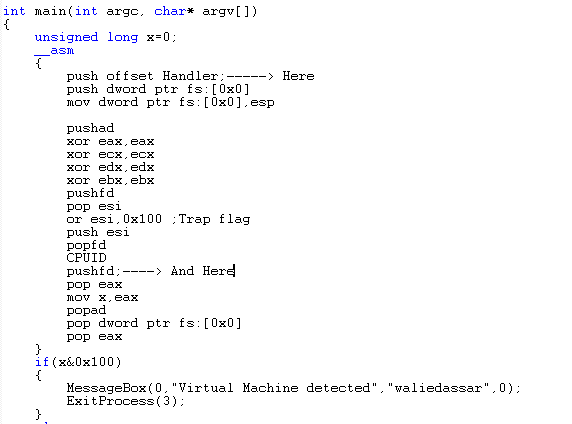 Running a simple executable that on purpose makes use of the Resume Flag inside an XP Virtual PC Virtual Machine, i found out that execution flows normally as if XP supports the resume flag. Given the finding above, i created a small executable that tries to detect if it is running inside Virtual PC 2007. You can find it here and its source code from here. I guess the finding above only applies if the host operating system itself supports the resume flag e.g. Windows 7 or later. N.B. This topic is still under research. Please don't hesitate to leave a comment. 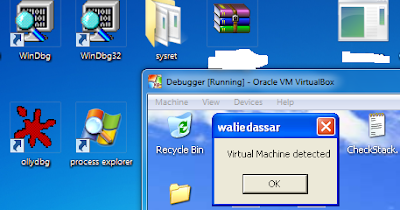 While playing with Virtual PC 2007, i came up with an interesting trick not only to detect Virtual PC 2007 but also to reset (restart) the Virtual Machine. The trick is so simple that all you need to do in your code is execute "\x0F\xC7\xC8\x05\x00". Executing that x86 instruction sequence causes the following message to pop up. A POC can be found here and its source from here. N.B. Other x86 instruction sequences can cause the same result.